Simon Sinek's recent video on 'The Millennial Question' went viral with over 150 million views and his TED Talk on the global bestseller Start with Why is the third most watched of all time. 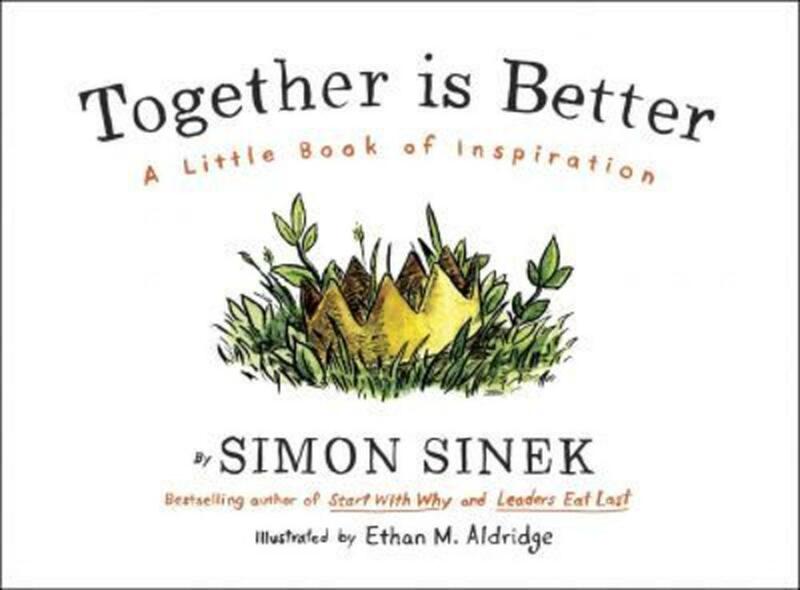 Sinek's latest work, Together is Better, is a little book of inspiration for the modern world. Most of us live our lives by accident - we live as it happens. Fulfilment comes when we live our lives on purpose. Almost everyone knows someone who has grappled with at least one of these questions. The answers can often seem elusive or uncertain. Though there are many paths to follow into the unknown future, there is one way that dramatically increases the chances we will enjoy the journey. To travel with someone we trust. We can try to build a successful career or a happy life alone, but why would we? This unique and delightful little book makes the point that together is better in a quite unexpected way. Simon Sinek, bestselling author of Start With Why and Leaders Eat Last, blends the wisdom he has gathered from around the world with a heartwarming, richly illustrated original fable. Simon Sinek is the bestselling author of Start with Why, Leaders Eat Last and Together is Better which have helped organizations around the world inspire their people to reach new heights. He has presented his ideas to Fortune 100 companies and small startups; to non-profit organizations and members of Congress; to foreign ambassadors and the highest levels of the US military, among many others. His TED Talk based on Start with Whyis the third most popular video of all time on TED.com, with more than 33 million views.